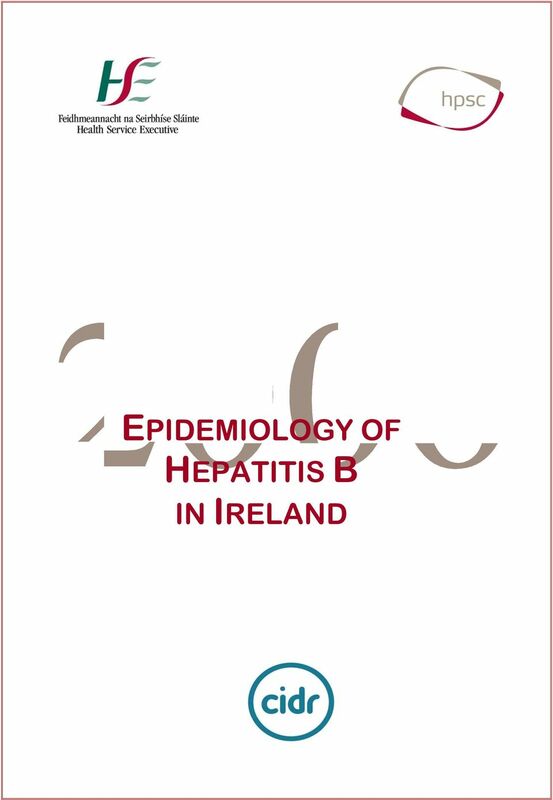 Download "EPIDEMIOLOGY OF HEPATITIS B IN IRELAND"
Universal Hepatitis B Vaccination in Ireland - Why now? HBC-1. 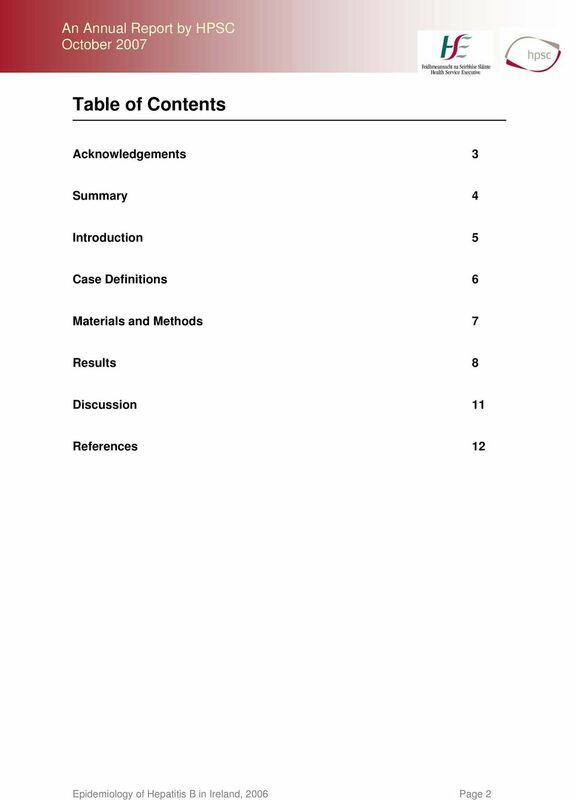 If the case had jaundice, tick the Yes box. If not, tick the No box. If not known or unavailable then tick the Unknown box. 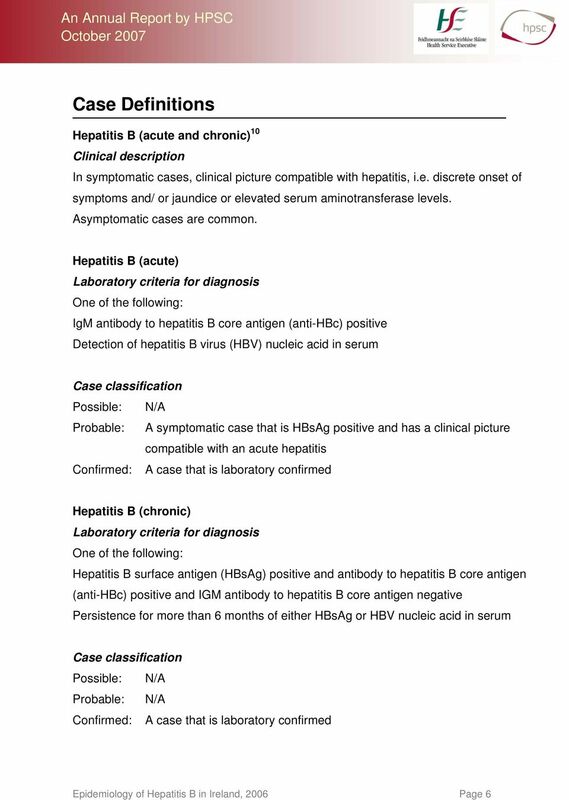 Indicate whether the case had jaundice. If not known or unavailable then select the Unknown option. 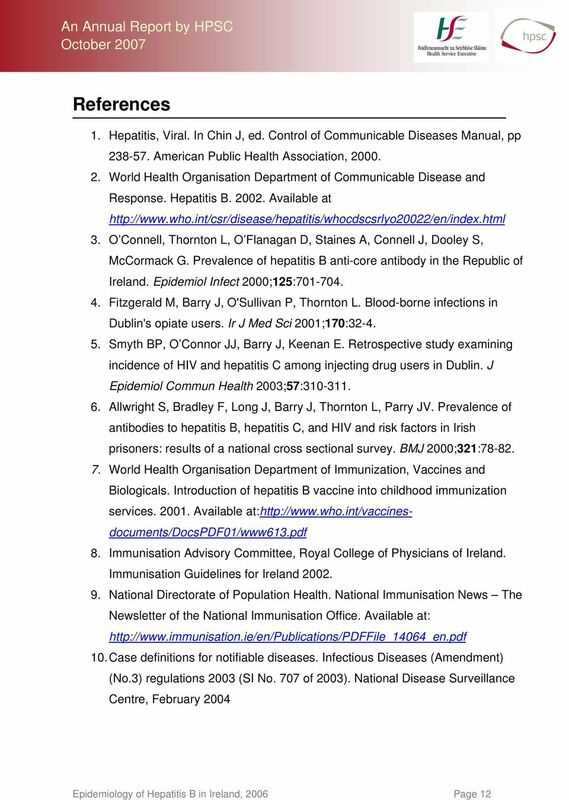 Are Booster Doses of Hepatitis B Vaccine Necessary? 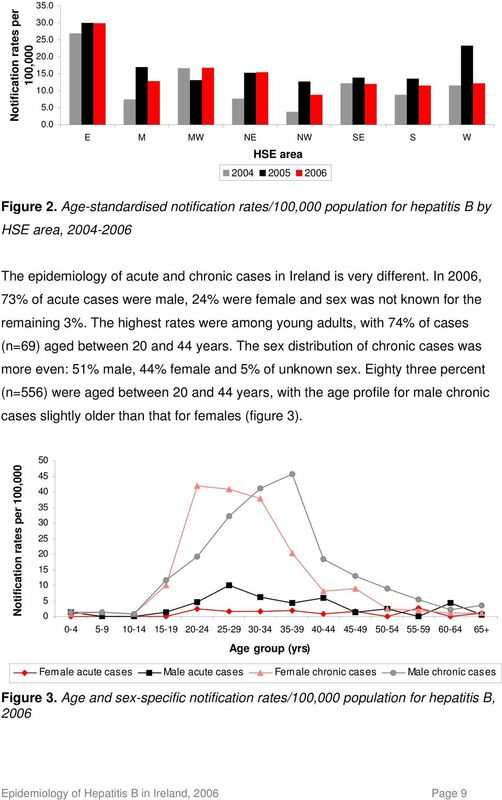 Hepatitis A Epidemiology in New Zealand The incidence of hepatitis A in New Zealand has decreased sharply since the 1960s, and currently about half the cases notified have a history of overseas travel. 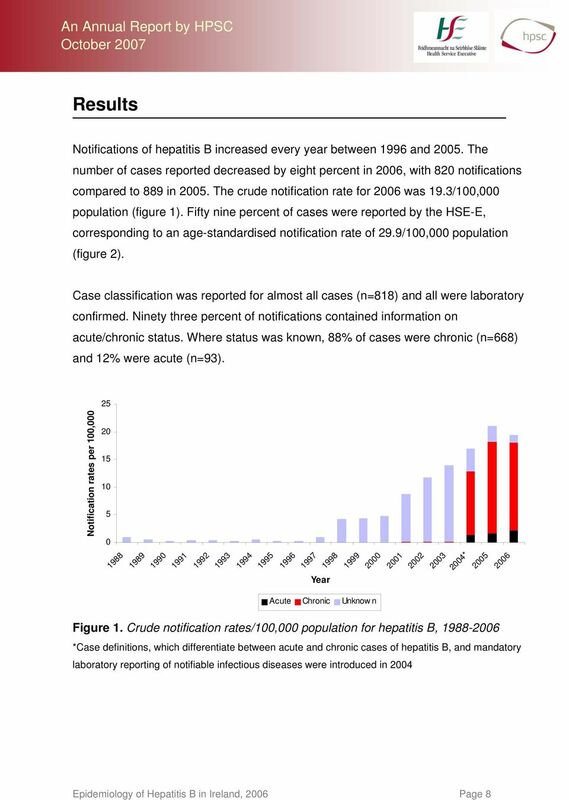 Epidemiology It is estimated that there are at least 350 million chronically infected cases of HBV worldwide. 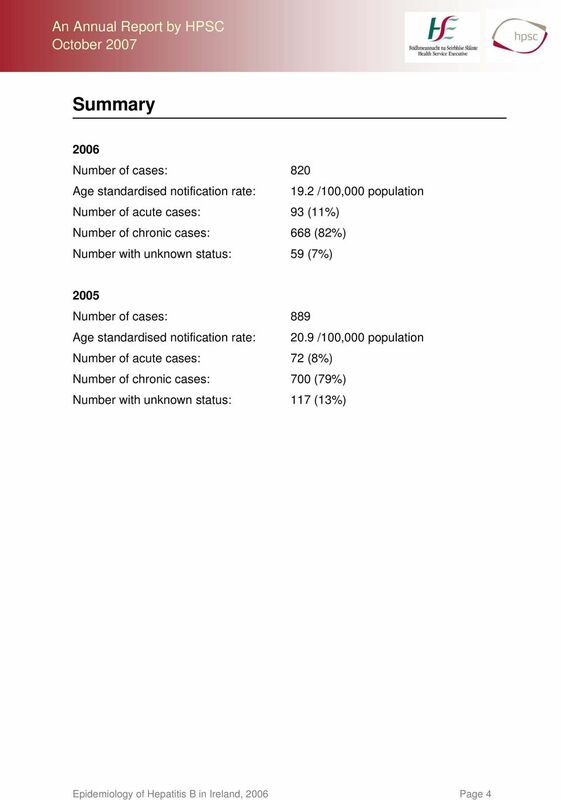 (see Figure 9.1). 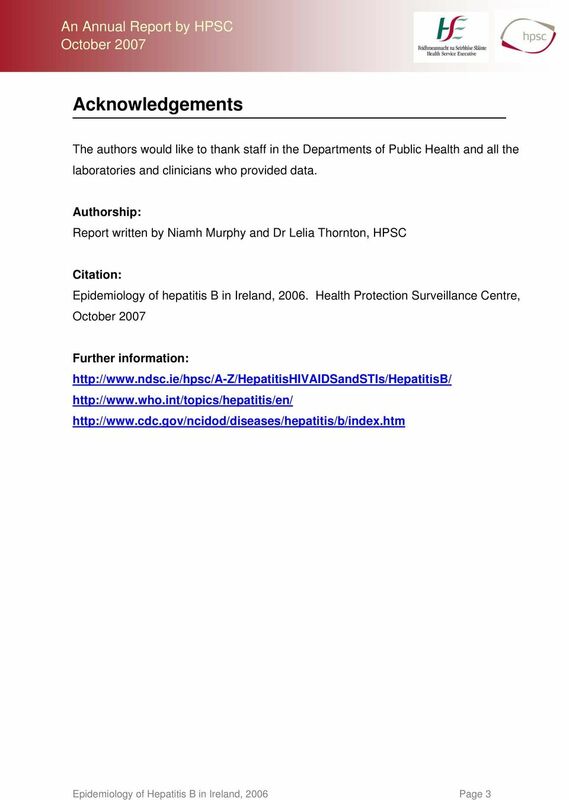 Hepatitis Vaccination Policy Purpose To outline requirements for Hepatitis Vaccinations Scope All operational levels of Life Saving Victoria Policy Background Hepatitis is a highly infectious disease. 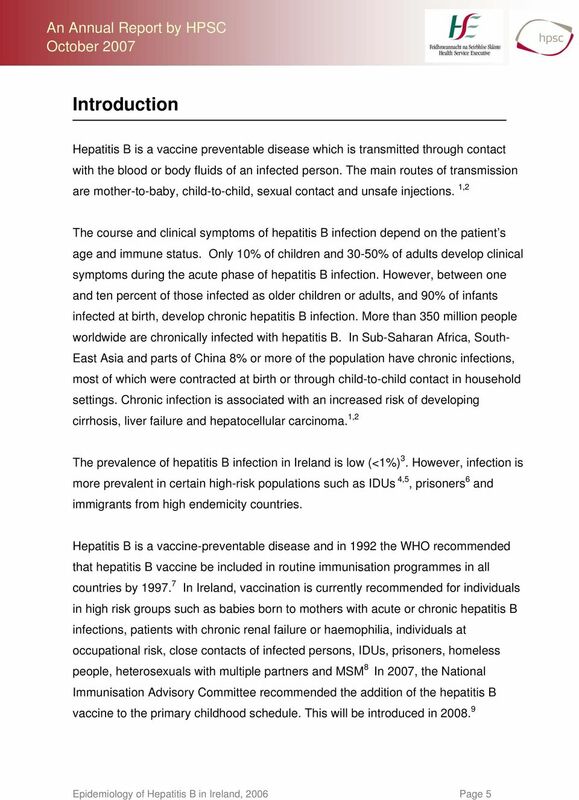 Impact of natural boostering on long-term protection against hepatitis B after newborn (HBsAg + mothers) vaccination. Chapter 21. What Are HIV and AIDS? 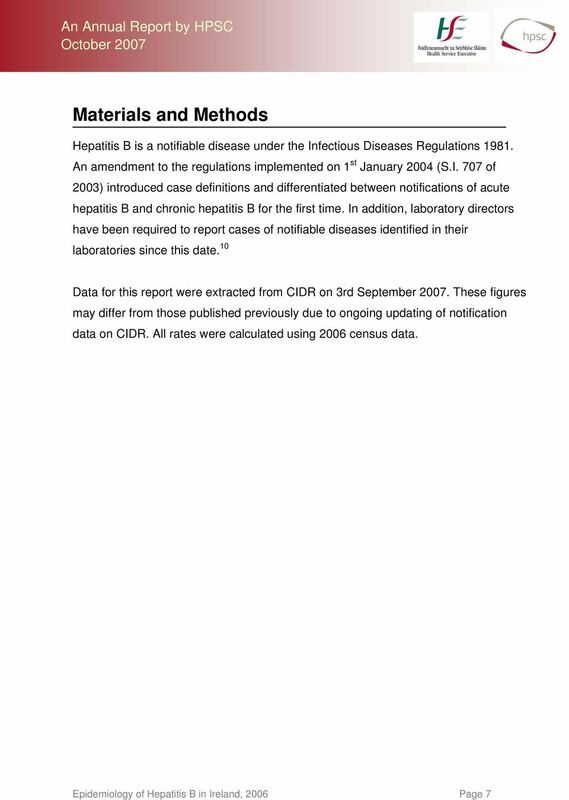 Zika Virus Frequently Asked Questions for the General Public Version 1.12: 25/7/2016 What is Zika? Zika is a viral infection that usually causes a mild illness that typically lasts between 2 and 7 days.